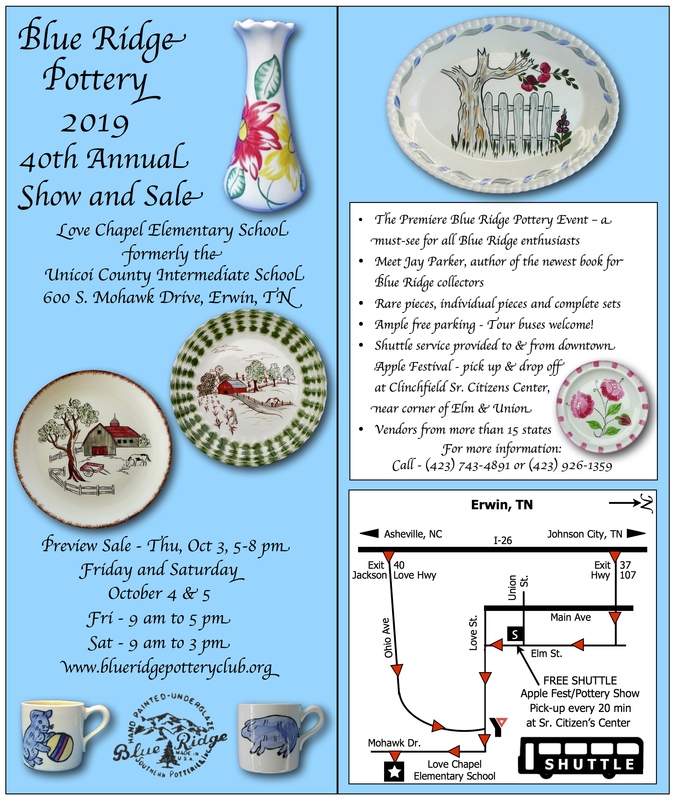 The 2019 Blue Ridge Show will be held October 4th and 5th at Love Chapel Elementary School in Erwin, TN. A preview sale will be held from 5-8 p.m. on Thursday October 3rd. For more information click on the photo below. 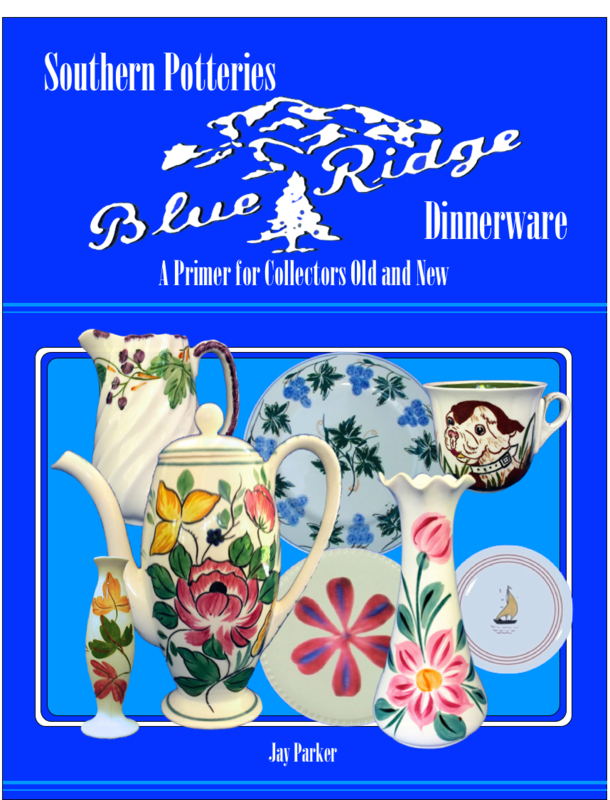 The 2017 Blue Ridge Pottery Club show and sale was held October 5th - October 7th. Below are a few pictures from the show. Click on an image for a larger view. Next years show will be held October 4th - 6th, 2018. For more information click here. I'm happy to help identify patterns or answer your Blue Ridge questions. See the Contact page for more information. The Pattern ID pages also may help. Looking for something in particular? Check here! Have a pattern or particular piece you're looking for? I may have or be able to help find those pieces. See the Contact page for more information. This page contains numerous items including a history of Southern Potteries, and a page of the various marks used by the pottery over the years. A 'Want List' of pieces sought after by other collectors can also be found here. Some rare and hard to find pieces are still selling very well on ebay. Listed below are a few of those auctions and final selling prices (shipping cost not included).